Hardware review by Matt S.
The Nintendo Switch is one rushed piece of hardware. Formally announced just a few short months before it was actually released, and released with the overt intent on boosting Nintendo’s end of year financial results (which were shaping up to be pretty dire if the Wii U and fading 3DS were all to be relied on), the rushed-to-market nature of the console is abundantly evident from the outset. You can make friends with people but can’t communicate with them in any way. This “feature” currently starts and stops at seeing what games other people are playing. 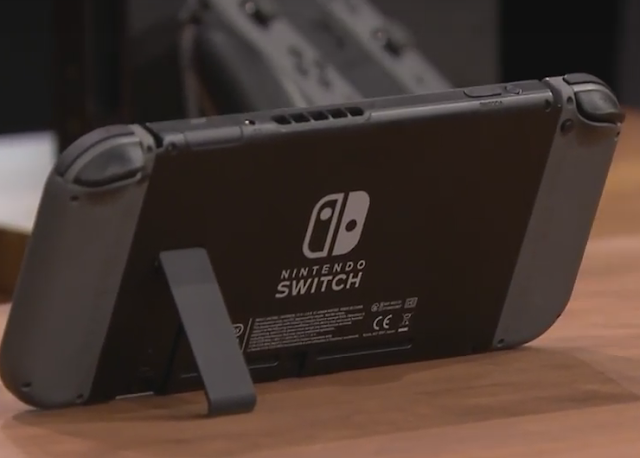 One of the key features of the Switch - the kickstand that allows you to turn the console’s screen into a mini-TV for multiplayer fun when you don’t have access to a proper TV - can’t be used while charging the console because the power cord connects with the console’s base, meaning you can’t stand it up. Some more R & D time would have found a way to get the charge cord out of the way so people can continue to play their console while it’s powering up. There’s no way to customise your UI experience with themes and the like, currently. There have been reported sync issues with the console’s controllers (though I haven’t experienced those), and, apparently, it’s too easy to scratch the screen plugging it into its dock to play games on TV. There are also no features to this console that aren’t directly to do with playing games. No Web browser, no Netflix app, no music player. People continue to insist that games consoles should be about the games, but if you actually look at how people use their consoles, these non-gaming entertainment applications are important, and the Switch has none of that. With only 32GB of internal hard drive space; a corner cut to save money on an already expensive machine, the onus will be on players to get additional storage via microSD cards, and you’ll need those because there are already games out there that are bigger than the entirety of the Switch’s internal drive. This is a HD console, don’t forget, and there’s a reason that the other HD consoles are being sold with 500GB of space, if not more. There is a capture button for screenshots (but not video, video’s coming later), and the ability to share content to Twitter and Facebook, but there’s also no native streaming capabilities in an era where streaming has been critically important to the Switch’s main rivals. Nintendo even plans on charging people for access to the Switch’s online features, but it’s in no place to do so yet, so it’s passing the incredibly thin feature-set currently available for the Switch off as a “free trial” for now. 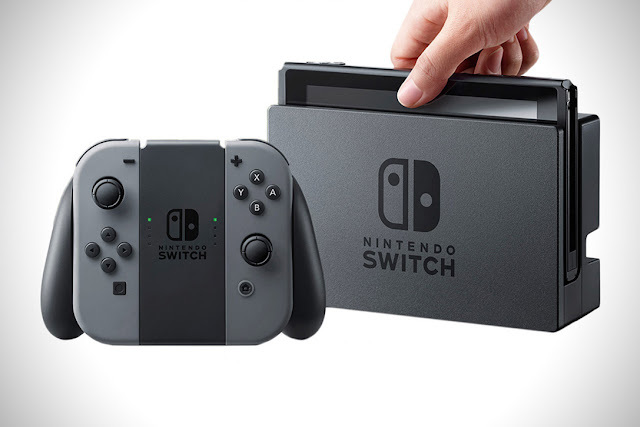 That’s the bad; everything about this console suggests that Nintendo should have sucked up the bad year’s financial results, and worked hard to deliver a comprehensive experience in October or November for this year’s Christmas sales period. As it is, what Nintendo has done is profit off the early adopters and pad out its bottom line, while effectively still working towards that Christmas period, which will be the real testing ground for the console, and the point where Nintendo will need it to start selling to the mainstream. While it’s not the end of the world (early adopters will be content with just about anything, after all), actually unboxing the Switch and playing around with the hardware felt distinctly underwhelming this time around, and that’s unusual for Nintendo. With both the 3DS and Wii U I could barely curb my enthusiasm when I pulled them out of their boxes. I even wrote an article on how Nintendo was “Disneyesque” in its ability to give its consumers a raw fantasy when I experienced the 3DS for the first time. The Switch sours that “Nintendo experience”, feeling more like a dry, corporate in every way, right down to the timing of the release. But then I started to play the console, and it grew on me, and rapidly. Once you drill down into the core function of the Nintendo Switch - its ability to play console-standard games anywhere, anytime - that experience is unparalleled. As a handheld console, nothing does games better than the Switch, and it actually feels more like something that Sony would do as a successor to the PlayStation Vita in its design philosophy of taking those deep, rich experiences of TV consoles and making them portable. The big screen that dominates the console is delightful, capable of displaying vibrant colours and superb detail. To take the obvious example, The Legend of Zelda: Breath of the Wild looks utterly delightful on the Switch’s screen, perhaps even more than it does on the TV itself. The buttons on the Joy-cons, which connect to the Switch on either site, or can be disconnected to place into a small controller dock for more traditional play, feel stunning to use. They’re incredibly clicky, which makes them feel robust and lasting, and that’s exactly what I like in controllers. The control sticks themselves feel soft and, perhaps, fragile for portable use, but they also allow for superb precision in-game. One of the coolest feature of the Joy-cons of all, however, is the ability to use them independently as mini-controllers. 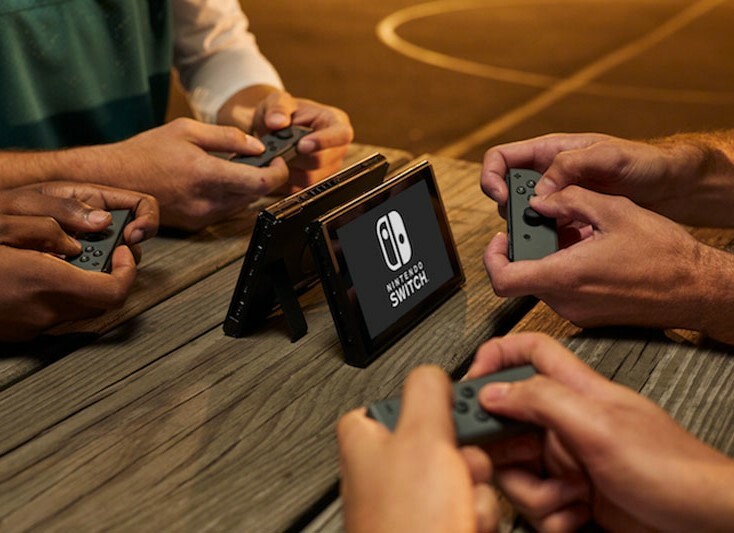 This means that when you’re without a TV, you can still get a multiplayer game going, with people huddled around the Switch’s screen. Realistically more than two people is going to make for a cramped huddle, but then that matches up beautifully with the fact the Switch comes with two of these Joy-cons. Looking at them, you could be mistaken for thinking that they’re far too tiny to function as comfortable controllers, but a four-hour session of Bomberman between myself and my brother would suggest otherwise, and my hands do cramp easily with poorly designed controllers. These things are a delight to use. The only issue I can see is the “click” buttons on the control sticks themselves - the “R3 and L3” buttons generally used as “run” commands in shooters and the like, are so stiff that, in combination with the soft joysticks themselves, they’re almost impossible to press in the heat of the moment. I don’t think the developers of shooters will appreciate that in the Switch, to be honest. The touch screen itself is capacitive and multi-touch for the first time on a Nintendo console, and this means that games like Voez are possible, and that you no longer need a stylus to play. The flip side to that particular coin is that screen protectors dull the responsiveness of using the screen (at least, in my opinion), and the size of the screen means it will be quite easy to scratch. In the absence of cases that I’d want to use to cart the Switch around, I expect that for the most part I’ll be playing this console in bed for the near future, rather than throwing it in my bag to tide me over on train trips or similar. The battery life is awful though. The more processor-intensive games, like Zelda, run the thing out in just a couple of hours, and while you’ll get a lot longer playing more gentle games like Othello or Bomberman, those promotional videos were Nintendo was showing people playing the Switch on airplanes must have been for very, very short domestic flights, as you’ll be deeply disappointed if you’re looking to get yourself from Australia to Japan (for example) with the Switch as your on-flight entertainment. Battery packs are an option, of course, but that adds yet more expense and bulk to an already bulky and expensive travel entertainment set-up. Still, this is offset with the fact that you’re playing games that approach the technical quality of home console games (and are every bit the equal in terms of artistry), on the go. As good as iPad gaming can be (and I do love my mobile premium games), even those don’t quite reach what the Switch is capable of. I almost wish that Nintendo didn’t bother with the docking and TV play option at all, as I find that to be a real Achilles heel for the console. The basic reality is that in terms of what the Switch can do, the PlayStation 4 and Xbox One can do better on those big, 4K, screens, and because Nintendo is selling the Switch as a home console, there are going to be people who treat it as such and then are left with the impression that it’s an inferior device to what the rivals offer. 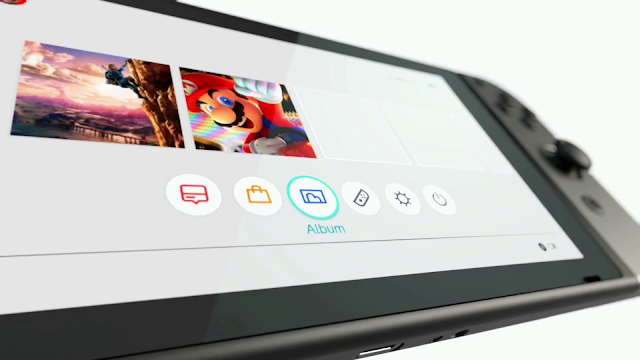 My feeling is that Nintendo would have been better served being at the top of its field with a pure-play handheld console, and then later down the track introduce a small box for the TV that the Switch could stream to for those that wanted to play their games on the TV. A little like how Sony gave the few Vita fans that wanted to play those games on their TVs that option with the PlayStation TV. 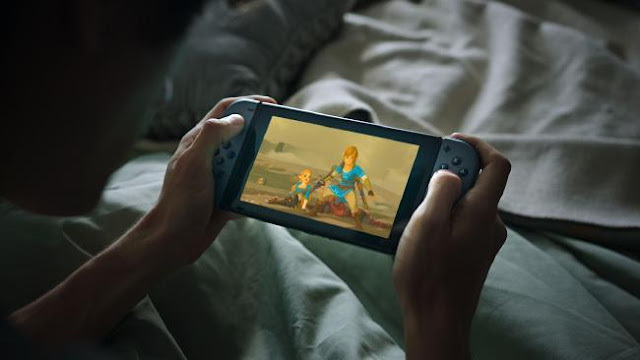 Criticisms aside, when I sit down to play the Switch in bed, and as a handheld console, I simply couldn’t be happier. The thing is a delight to use, and though it was assuredly rushed to market, it’s enough of a hardware canvas that, via updates, Nintendo can continue to mold the thing for years to come into a truly masterful and richly-featured console. By Christmas we’ll likely have a better idea of the long-term commercial viability of the console, but Nintendo can’t afford this one to fail, so you can be fairly sure that the kitchen sink’s going to be thrown at it for some years to come.